*You can use other nut butters but something really smooth like cashew works best! These are crazy delicious. 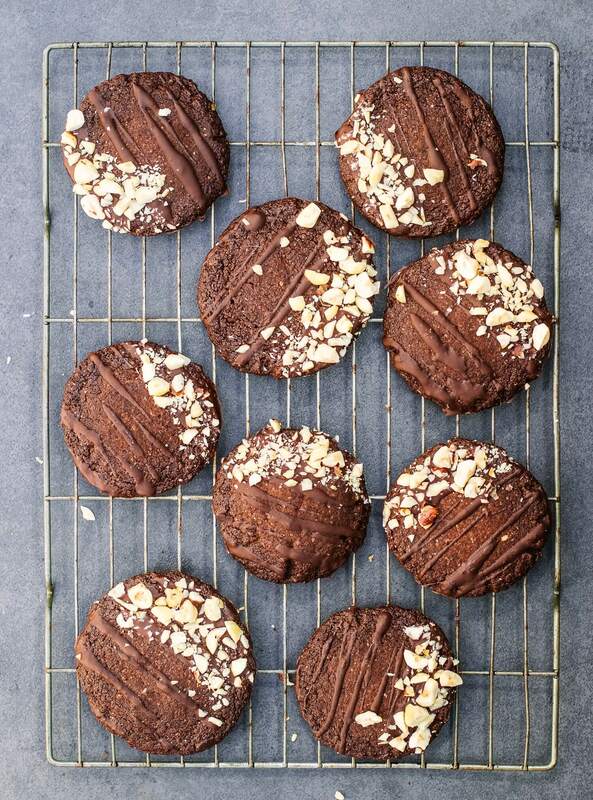 They’re like a hazelnut brownie cookie hybrid (hence the name) and they’re just so good they’re hard to describe. It’s really important that you don’t touch them until they’ve cooled and set- they’ll end up with the best texture so it’s really worth it, I promise! Add the coconut oil, coconut sugar and cashew butter to your food processor and blend on high until it comes together. Add in the cacao powder, buckwheat flour and a pinch of sea salt and blend well until it comes together into a dough. Take about a tenth of the cookie mixture and roll it into a ball. Then shape it into a cookie shape on a lined baking sheet. Repeat with all the cookies. Pop them in the oven to bake for about 10 minutes. At the same time, on another tray, roast the hazelnuts until golden, about 8 minutes. Take them both out and leave the cookies to cool on the tray for about 20 minutes before touching them. This is really important as they will fall apart if not left long enough. Melt the chocolate and finely chop the roasted hazelnuts. Drizzle the chocolate over them and sprinkle on the chopped hazelnuts. 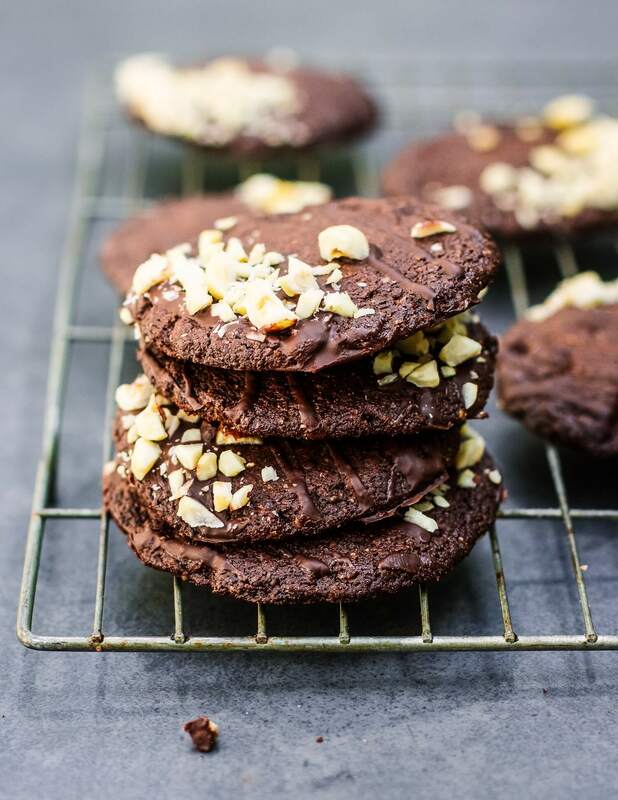 Hi, I’ve been looking for a reasonably healthy cookie recipe and this seems perfect, I’m not gluten intolerant so usually use regular flour, would it be the same quantity of plain flour? Sounds Devine. Can’t wait to try with children. How long do they last in storage?